Hi! I’m Mechele! If you love art, if you love colour, love to imagine, love to pretend, or simply love to stand out from the crowd, then you will love what I can do for your party or function! Let me transform you and your guests! fantasy! horror! pretty! sporty! masquerade! funny! sparkly! vibrant, simple or unique! the possibilities are endless! 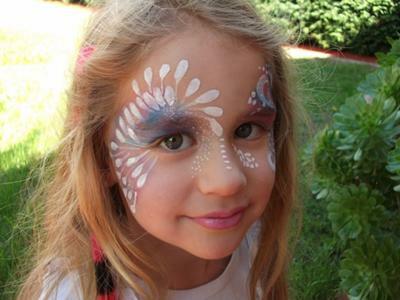 Face painting and glitter tattoos for all ages and occasions! from classic children’s parties to adults costume and fancy dress enhancement, entertainment for corporate functions and more! fun for everyone! I am friendly, fun and can be flexible to your requirements. hi its poppy here one day you can paint me as a princess i just love them as much i love your work. My child Alice would like me to have you over for a party it will be fun! 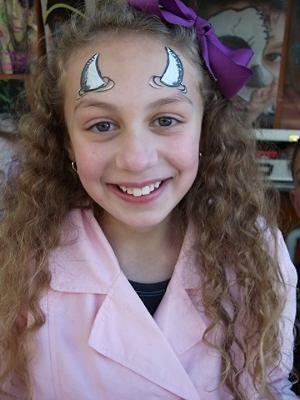 Thnx for the facepaint you did for my children at the market i really love your poster of the little girl with the devil horns on her its soooooooooo cute! Wonderful Mechele! You are truely an artist darling! The kids loved you (and so did we!)! Thankyou! hi mechele! thanks for your beautiful designs you painted on my children and their friends at my son's birthday!! 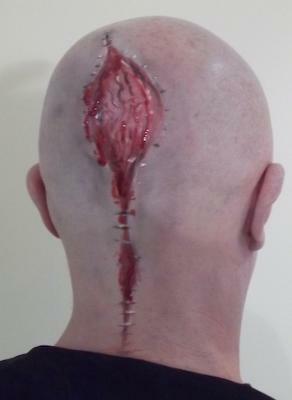 everyone loved your work and my husbands "monster" design was so absolutely brilliant! the dripping blood and 3D effects were so impressive! you have a talent for horror as well as the "nice"! it was a pleasure to hire you! would like to thank you for attending our party the kids adored you and you looked fab as madoosa. You are also a great face painter and a very good listener every sing child well 15 of them loved how you painted there faces, hands and arms. Especially the little girls with the glitter tattoos. The kids said they do not want to wash there hands ever which is so adorable. I will make sure we hire you again for our sons birthday. All the best. Mechele i would like to thank u for attending out childrens party u were wonderful with all the kids and they absolutely loved you Genie costume. You have a talent with kids and please keep up the great work. 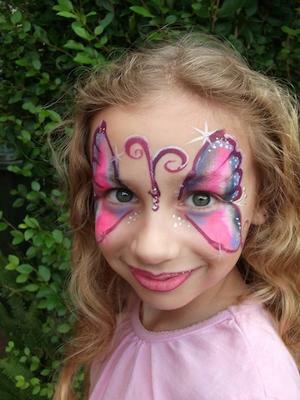 Dont forget my friend wants to book you for her next kids party as well hope your available. I had a small party at home with 8 guests, it was not a big do, but a get together for but a bit of fun as someone had just returned from England. I had Mechele over she was lovely and very attentive, she brought over every thing what was needed very organised. I had a butterfly on half of my face and my girlfried was a beautiful fairy, my little daughter asked if she can be painted too and walla there was a cute little tiger, I will call mechele again. I have had my face painted by Mechele and set her a fairly Staight request to have me looking like one of the characters from Avatar. With a Steady hand and a great understanding of what her end result was likely to come out looking like I evolved from a fairly ordinary male face to a fantastic looking character from the movie Avatar. I only had a full head makeover, which was all that I asked of Mechele. All of the people that I met commented on how good the work was. 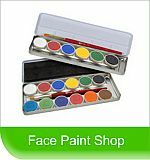 The next function I go to where face painting is needed (which will be soon I know), I will again contact Mechele as I know I will get the result that I want.